Harry grew up in Norborne, Missouri a small farming community in North Central Missouri and is the oldest of 5 children. Growing up there he worked on a paper route, at a lumber yard, mowing lawns, worked for several farmers and in construction & on the railroad too. He enjoyed hunting and fishing as time allowed. In school Harry participated in Football, Wrestling, Track and field, Baseball, Speech, Band, Jazz band and FFA. He was also an active member of the Boy Scouts, and JC's. He was a member of Sacred Heart Catholic Church and served there as an alter boy and lector. Harry moved to Wyoming and has been a licensed Real Estate Broker since 1992. Harry lives by the motto "Service You Can Depend On". 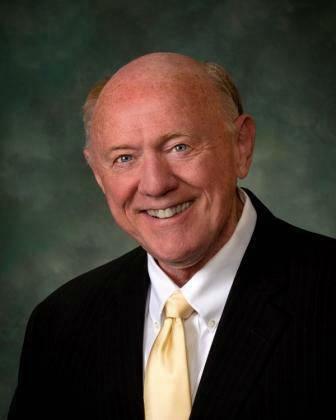 He was President of the Campbell County Board of REALTORS in 2002 and REALTOR of the year in 2002. He has worked as a Broker, Associate Broker, Sales Manager, Team Leader and Consultant over the last 23 years. • "YOUR HOME SOLD GUARANTEED OR I'LL BUY IT!" • "IF YOU'RE NOT HAPPY WITH THE HOME YOU BUY I'll BUY IT OR I'LL LIST IT FOR FREE"
Whether you are looking to buy or sell a New or Resale Home, Income property, Commercial/Industrial property or a Business Opportunity Harry is always here to help you. 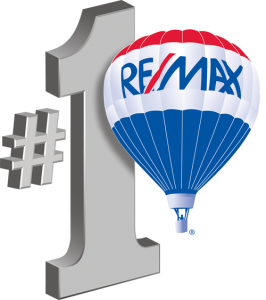 Harry "Mr. Real Estate" has worked at RE/MAX Professionals since 2001. He was the #1 RE/MAX agent in Wyoming in 2004, 2005, 2006 & 2007 and the only Agent in Wyoming to received the prestigious Chairman's Club award twice. In 2007 he was ranked #3 out of 3,364 agents in a 5 state region which includes North Dakota, South Dakota, Wyoming, Utah & Colorado. In March 2013 Harry was awarded with the Lifetime Achievement Award placing him in the Top 1% of all RE/MAX Associates worldwide. Harry was featured in "RE/MAX A World of Winners" Volume III and has been quoted in the Gillette News Record, Casper Star Tribune, Rocky Mountain News and Denver Post. Some of his properties have been featured in the publications such as Homes & Land, The Wall Street Journal, Robb Report, Unique Homes and DuPont Magazines. Harry was diagnosed with stage 4 cancer in May of 2007. During the treatments and extended recovery he remained focused on beating the cancer & maintaining a positive attitude and continues to reflect that in his daily life today. If you are looking for an agent who will "Go To Bat For You" Harry is the agent you want on Your Team!